In this webinar, Bob Best and Darlene Pope of JLL’s Energy and Sustainability Services team discuss how smart buildings are contributing to more sustainable and productive workplaces. By 2030, 500 billion devices and objects will be connected to the Internet, according to Cisco estimates. Some of those devices and objects will be the sensors, systems, and equipment already at work inside the world’s “smart” office buildings — and these high-tech elements are already changing how we use our workplaces. In addition to improving building efficiency, smart building technology can contribute to sophisticated space utilization and workplace strategy. Smart sensors can gather thousands of data points about how, when and where employees prefer to work, for instance, or whether the company has the right kind and number of meeting spaces. 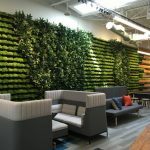 Employees, meanwhile, enjoy the advantages of better temperature control and ventilation, and being able to customize their office environments through, say, a mobile app. In this webinar, Bob Best and Darlene Pope cover the basics of smart buildings and how they contribute to smart workplace strategies and more productive workplaces.